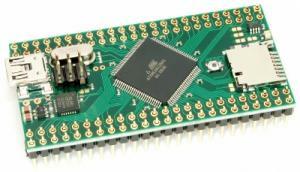 CrumbX128A1 V1.0 is a versatile and very compact/small (just 60x30mm size!) microcontroller module with the ATxmega128A1 microcontroller, 3.3V LDO voltage regulator, CP2102 USB UART converter, RS485 transceiver and a micro-sd-card header/slot. 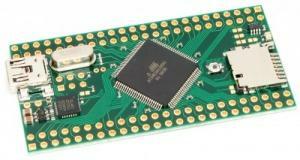 All microcontroller signals are available on pin headers. A selectable XTAL crystal is included.